Our team has put together the perfect Valentine's Day gift. 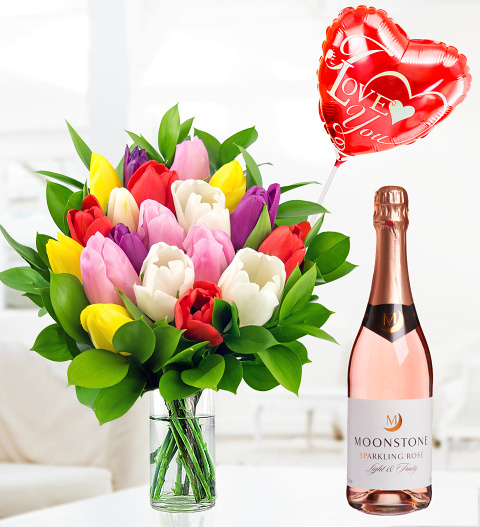 With flowers, a bottle of wine, and a balloon, all your bases are beautifully covered! Send this romantic gift and show your Valentine just how special they are. 9 inch stick balloon Chocolates may contain nuts.